Suitable for all hair types, this combo of Natural Henna Powder and Natural Indigo Powder will give you 100% chemical free dying of hair without any side effects. Henna powder has been in use since ages as a natural colorant for dyeing hair and applying beautiful designs on hands and feet. 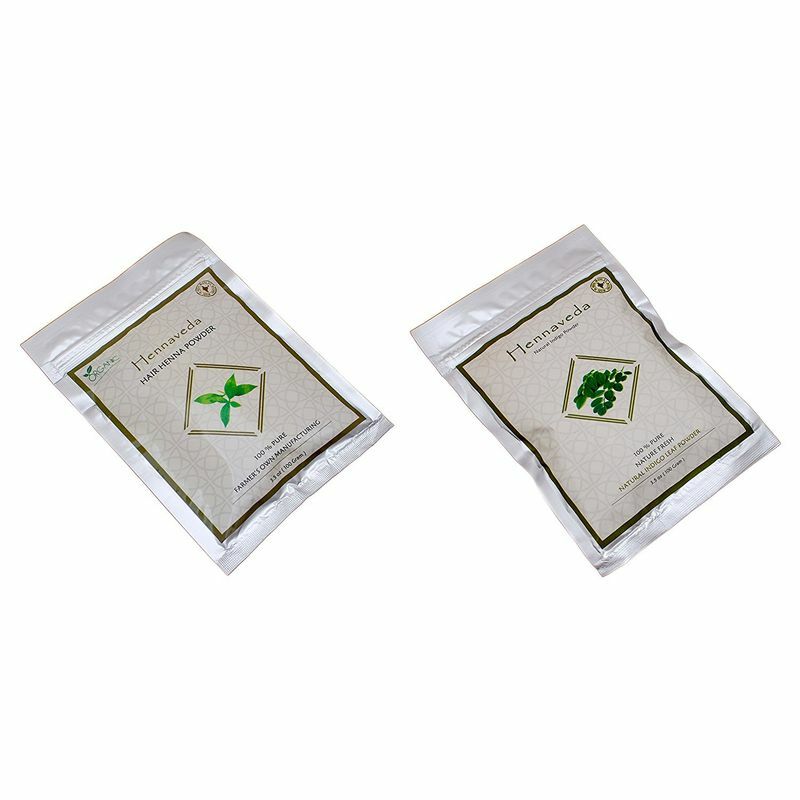 Hennaveda Hair Henna Powder is a multilayer hand filtered refined henna, made with the best hand-picked fresh henna leaves every season. This is the purest and best possible henna available in Indian market grown by Hennaveda's farmers and manufacturers to produce an unmatched and guaranteed quality Natural Henna Powder. The extracts that go into the making of Natural Henna Powder are selected from the best fields that produce the best henna leaves. 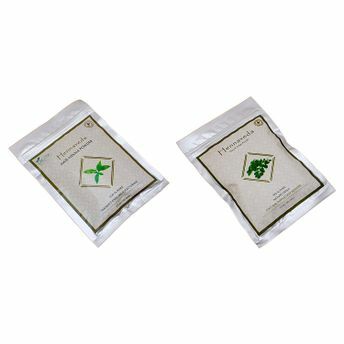 The Natural Henna Powder is filtered rigorously to give a fine powder that is free from impurities. Indigo leaf powder is a 100% natural colourant. Indigo is naturally derived from Indigo plant and can be used to colour hair naturally. Hennaveda Indigo leaf powder is a quality oriented product and is absolutely safe and free from chemicals and preservatives. Indigo application for hair colour has no side effects. Indigo can be applied by mixing with henna and can be applied separately as well. This product comes in a vacuum packing to increase the shelf life of the leaf powder protecting it from external air and temperature.